How much is Eddie Kendricks Worth? Eddie Kendricks Net Worth: Eddie Kendricks was an American singer and songwriter who had a net worth of $5 million. Eddie Kendricks was born in Union Springs, Alabama in December 1939 and passed away in October 1992. 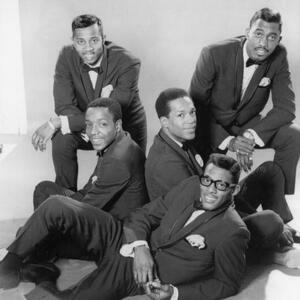 Kendricks co-founded the Motown singing group The Temptations and was one of their lead singers from 1960 to 1971. Eddie provided lead vocals for songs such as "Get Ready", "The Way You Do The Things You Do", and "Just My Imagination (Running Away with Me)". In addition to being part of The Temptations Kendricks also found success as a solo artist and had a #1 hit with "Keep On Truckin". He was responsible for creating many of the group's vocal arrangements and was also wardrobe manager and was responsible for The Temptations' famous purple suits. Kendricks was romantically linked to Diana Ross, Martha Reeves, and Mary Wilson. Kendricks released 13 solo albums and also had hits with the singles "Boogie Down" and "Shoeshine Boy". Eddie Kendricks passed away on October 5, 1992 at 52 years old from lung cancer.